Making and using sun-charged water is easy, and it may provide many health benefits for internal and topical use. To my knowledge, there is no solid scientific proof of the health benefits of drinking this water or using it on the skin for topical purposes. However, there are many anecdotal benefits from users, including myself and people I know. What we do know for sure is that both water and sunlight are critical components of biological function. Sunlight is the main element from which all physical life originates and is energized. In fact, the essential life process is a “little electrical current sent to us by the sunshine,” according to Dr. Szent-Gyorgi, Nobel Prize Laureate. As light hits the water in the cell, it begins the first phase of photosynthesis, splitting water into positively- and negatively-charged water. Healthy human cells are negatively charged. I think it’s interesting that human photosynthesis is quite similar to plant photosynthesis. Internal Use. The most common reported benefit of drinking this water is increased energy. Other benefits include an overall sense of well being or rejuvenation. When consuming it in conjunction with herbs or medications, healing was significantly faster with fewer side effects. Topical Use. Applying sun-charged water directly on skin conditions— including rashes, cut, bites or lesions— has helped support or speed healing. It can also be used as an eye wash. Since light and heat oxidize water, it makes sense to me that sun-charged water would be good to use for anti-viral, anti-fungal, and anti-bacterial purposes. Thus, I generally make sun-charged water if I am feeling overly stressed or as if I might be coming down with a cold or flu. Or if I know I have been exposed to people with cold and flu symptoms. However, beyond the anti-microbial benefits, I believe is much more to the healing potential than just that. 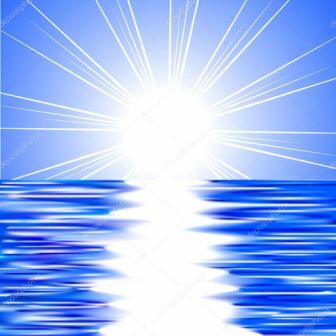 The energetic properties of sunlight and how it restructures water is one of those unproven but potentially significant factors when it comes to human health. I also make sun-charged water when needed for topical use for myself or others. The water can be applied directly to the skin or used as a compress or a soak. Several years ago, I encouraged my sister to try using sun-charged water on a surgery incision that was not healing properly even though she had been using medicated topical creams. I had no idea if the sun-charged water would help because I had never used it topically myself. She was skeptical but decided to give it a try. She charged filtered water and applied it as a compress on her incision that night. The next day she saw significant improvement and it started to heal well after that. The process is simple and inexpensive. You can use tap water, but ideally it should be filtered of contaminants. If you don’t have a home water filtration system, you might want to consider an inexpensive water filter pitcher. I use a 12 oz. clear glass jar to charge my water. Natural spring water is the best water to use. De-mineralized water (i.e., distilled and R.O.) is not ideal because the minerals are removed and the water is positively charged. Find a clear glass container (preferably no larger than 1 gallon). Broad containers will provide more surface are for direct sunlight contact. Ideally, the container should have a clear glass lid. Do not use plastic containers or lids since plastic can leech harmful chemicals into the water when exposed to heat and light. Fill the container with clean water and cover the container with the lid. 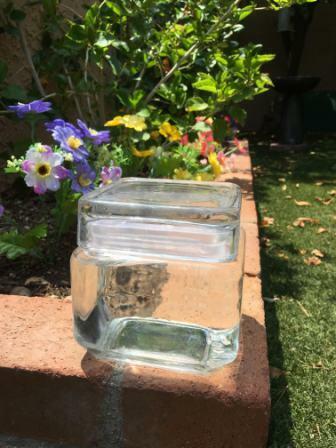 Place the container in direct sunlight on bare earth. If you do not have bare earth, put it on cement, sand, or rock, but not grass since it will inhibit charging. Leave the container untouched for 5 to 8 hours. Drink or use the water as soon as it is charged for the most benefit. However, the water can be stored up to 24 hours in a cool, dry place. After that, the water should be re-charged in sunlight. Editor’s Notes: Some people advocate the use of colored glass containers. However, unless you are fully versed in color therapy, I recommend using clear glass since it collects white light and contains all the colors of the rainbow. Using a clear glass container is essential. However, if you don’t have a clear lid, I am sure the water sill still be charged to some degree. Dr. Mercola; "Water Supports Health in Ways You May Never Have Suspected; 2017.